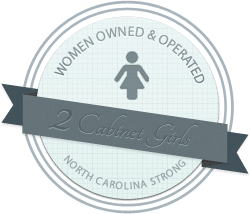 With so many options out there to chose from, why should you chose 2 Cabinet Girls for your cabinet updates? Where do I even begin…. We’re very creative, artistic people and we can help advise you on the right color choice, or decor for your home. We’re super organized and diligent workers. We show up when we say we will, finish the job on budget, and clean up after ourselves. You’ll barely even notice we were there… except you’ll have beautiful new looking cabinetry, or freshly redecorated rooms! Our prices and attention to detail cannot be beat! 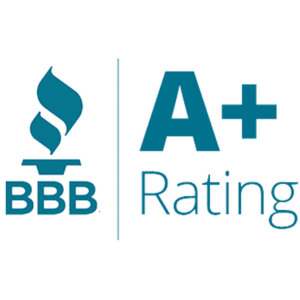 We’ll treat your home like it were our own, and make you a happy customer. Because, after all, happy customers tell all their friends! If you like being green you’ve come to the right place. We try to take every precaution and use the safest, least toxic, yet still effective, products on the market. Your health is important to us! If you’re keen to support a women owned and operated business, you’ve found one! Last but not least, we’re not like typical contractors that don’t call you back, or worse, don’t show up on time (or ever!)? 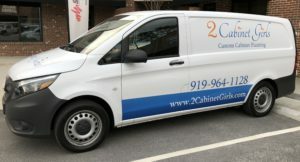 We respond to quote requests and emails within 24 hours (usually sooner! ), and we’re never late.